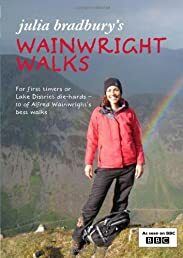 The companion to the BBC series Wainwright Walks, with Julia Bradbury following in the footsteps of famous fell-walker and guide writer AW Wainwright. The series includes beautiful aerial sequences of Lakeland icons Blencathra and England's tallest mountain Scafell Pike. It was first broadcast in 2008 and regularly repeated on BBC4 and BBC2, most recently in December 2011. The book collects together all ten of the walks from Series I and II, with clear directions and Julia's commentary on her experience of the walks. Stills from the original series are augmented by the famous line drawings from Wainwright's original books, and evocative landscape photography by Derry Brabbs.